Many of Rockalily Cuts clients are partial to a bit of hair dye, and styling, so the hair can become damaged and dry. 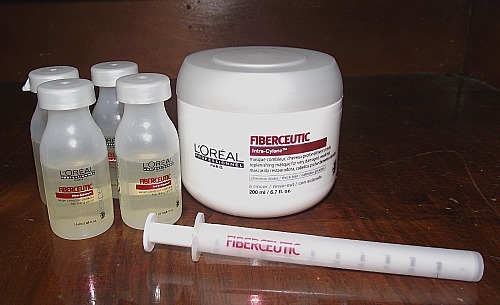 After talking to Lucie Luella (Rockalily's Head Stylist) about which treatment she has found most effective in her years of hairdressing, we now offer the L'Oreal Fiberceutic hair treatment. It has been called 'botox for the hair' and is designed for very damaged and weak hair.